20 lb. 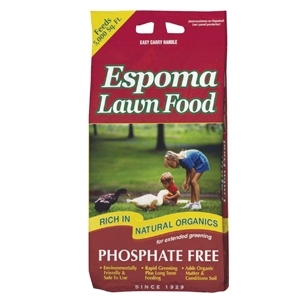 Phosphate-free. 18-0-3. 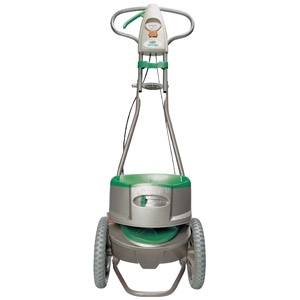 Feeds up to 2,500 square feet. 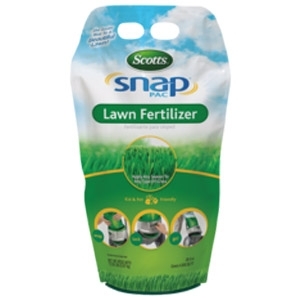 fertilizer is great for use when planting new grass seed and helps prevent the growth of crabgrass, barnyard grass and foxtail. 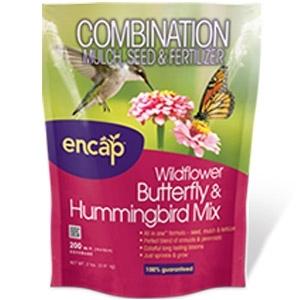 The All-in-One particles provide consistent coverage, and the slow-release formula ensures extended feeding. Covers up to 5,000 sq. 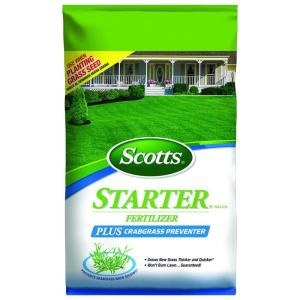 ft.
Get your lawn off to a great start with the Scotts Turf Builder Starter Brand Fertilizer. 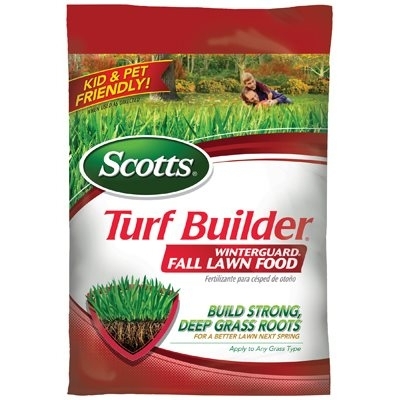 The high phosphorus content promotes quick root and blade development and helps seedlings survive. 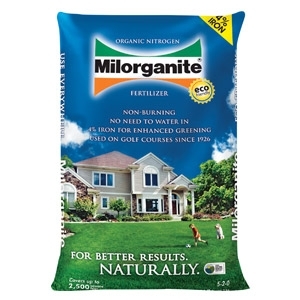 The fertilizer helps improve your lawn's ability to absorb water and nutrients and is kid and pet friendly for safe use. 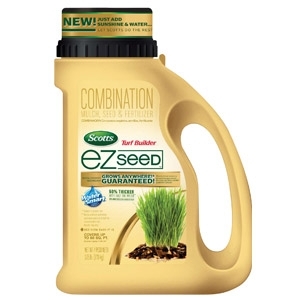 One application kills and prevents all season - guaranteed. Now kills 25 percent more grub types. Season-long grub control. 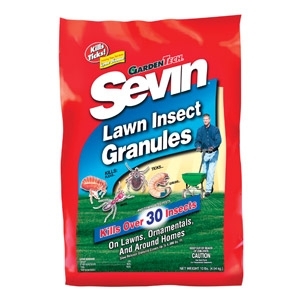 Maximum protection from lawn-damaging grubs. 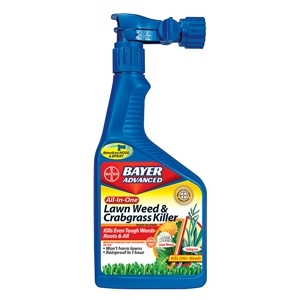 Kills white grubs early - before they damage lawn. 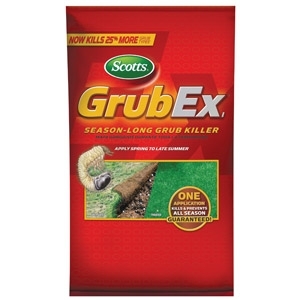 One application controls grubs all season long. 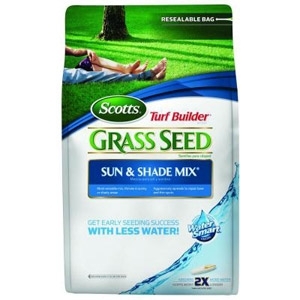 Use anytime spring through late summer. 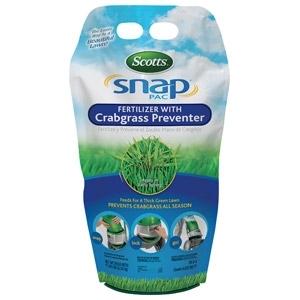 The Scotts Snap-Pac Fertilizer with Crabgrass Preventer is designed for use with the Snap lawn care system, featuring a formula that feeds your lawn while working to prevent invading crabgrass.The product attaches to the Snap Spreader and automatically sets the proper application rate for your convenience. 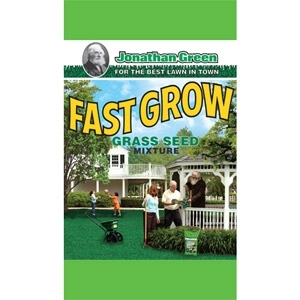 Slow-release formula is designed for use in the spring and the fall when weeds are growing. 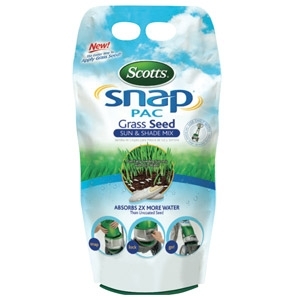 Build strong, deep roots with Snap-Pac Lawn Fertilizer, and experience quick greening and extended feeding up to 8 weeks. 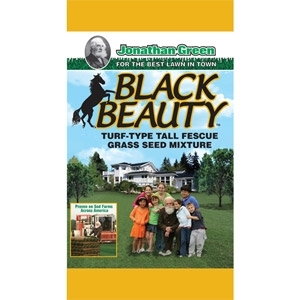 Better yet, it's kid and pet friendly, swo the whole family can enjoy a beautiful lawn together. 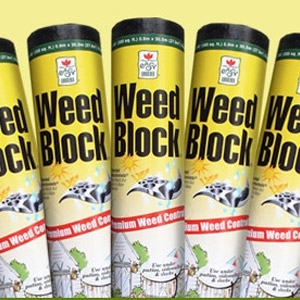 Lightweight cartridge connects directly to the applicator. 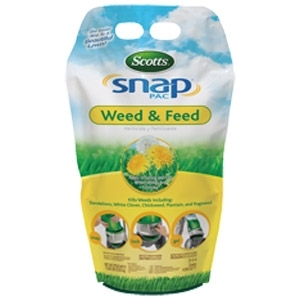 No opening of heavy bags, no spilling or waste & hands never have to touch the product. Self seals when removed & folds down for easy storage. 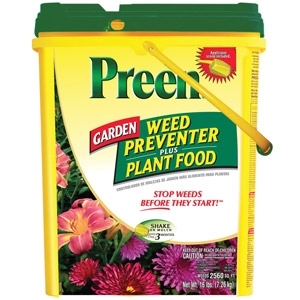 Apply at first sign of insect damage or activity. 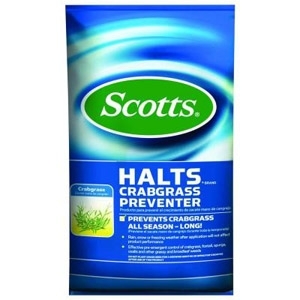 Kills ants, mole crickets, chinch bugs, ticks & cutworms. 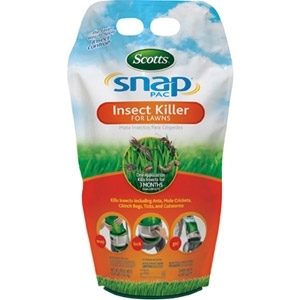 One application kills insects for 3 months. 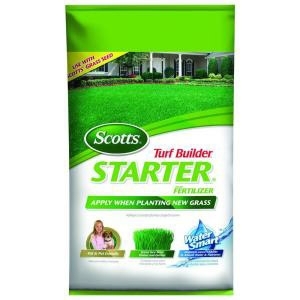 Scott's Turf Builder Winterguard Lawn Fertilizer, Covers 15,000 sq. 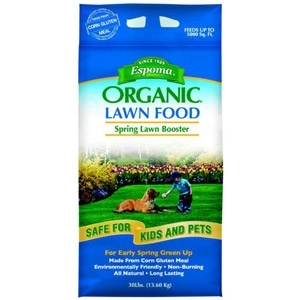 ft.
Fertilize the natural way with Espoma Organic Lawn Food Spring Lawn Booster in early spring; February - April. 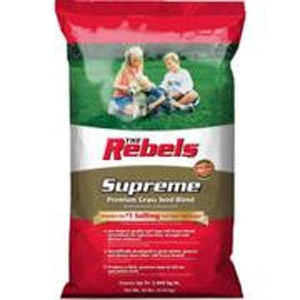 Made from 100% corn gluten formula is safe for kids and pets and helps you grow a lustrous green lawn all year round. 30 lbs.